We had the most unforgettable vacation ever this week! 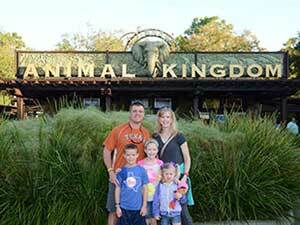 We enjoyed having the time of our lives as a family and fell in love with Disney! I can't even begin to say how much of a huge help Julie was in making our trip absolutely perfect. From the get go of booking our trip, answering my many questions, the detailed itinerary for each day which totally maximized our time 100%, to helping us adjust one of our days and reservations while we were there at Disney when we needed to change something. She was always just a text or call away and I can't imagine planning this trip without her help! Thanks so much Julie! Truly a trip we will never forget and we can't wait to go back!